For a review copy (US and Canada only), or to schedule an interview with Sheila Heti, please email gabrielle.gantz [at] picadorusa.com. PRAISE FOR HOW SHOULD A PERSON BE? ABOUT HOW SHOULD A PERSON BE? By turns loved and reviled upon its U.S. publication, Sheila Heti’s “breakthrough novel” (Chris Kraus, Los Angeles Review of Books) is an unabashedly honest and hilarious tour through the unknowable pieces of one woman’s heart and mind. Part literary novel, part self-help manual, and part vivid exploration of the artistic and sexual impulse, HOW SHOULD A PERSON BE? earned Heti comparisons to Henry Miller, Joan Didion, Mary McCarthy, and Flaubert, while shocking and exciting readers with its raw, urgent depiction of female friendship and of the shape of our lives now. Irreverent, brilliant, and completely original, Heti challenges, questions, frustrates, and entertains in equal measure. With urgency and candor she asks: What is the most noble way to love? What kind of person should you be? Sheila Heti is the author of several books of fiction, including The Middle Stories and Ticknor; and an essay collection written with Misha Glouberman, The Chairs Are Where the People Go. Her writing has been translated into ten languages and her work has appeared in The New York Times, Bookforum, McSweeney’s, n+1, The Guardian, and other places. She works as interviews editor at The Believer magazine. 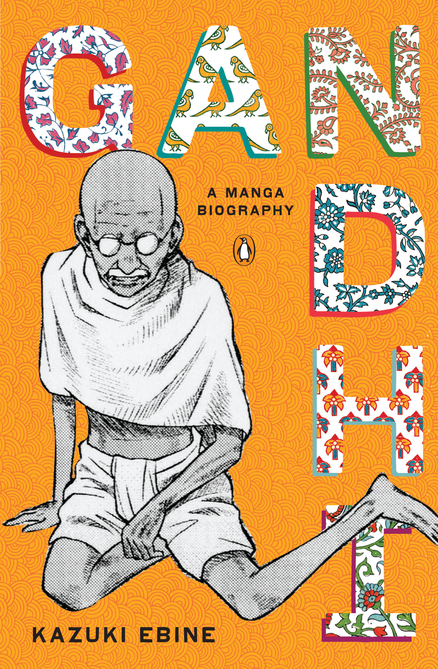 In clear, concise prose and evocative, engaging drawings, award-winning manga artist Kazuki Ebine’s GANDHI: A Manga Biography (Penguin Paperback / 978-0-1-4312024-7 / On Sale: September 27, 2011 / 192 pages / $15.00) shows us the path of Gandhi’s life, from his childhood in India to his studies in England to the beginning of his activism in South Africa and his return to India to lead the movement for independence. Kazuki Ebine is a young up-and-coming manga artist in Tokyo. 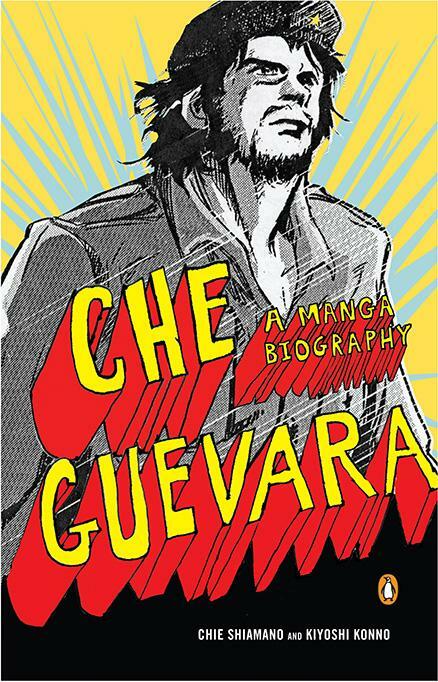 His previous works range from science fictions to everyday life of a rock band. Kazuki has won several highly recognized awards from the major comic book magazines in Japan. 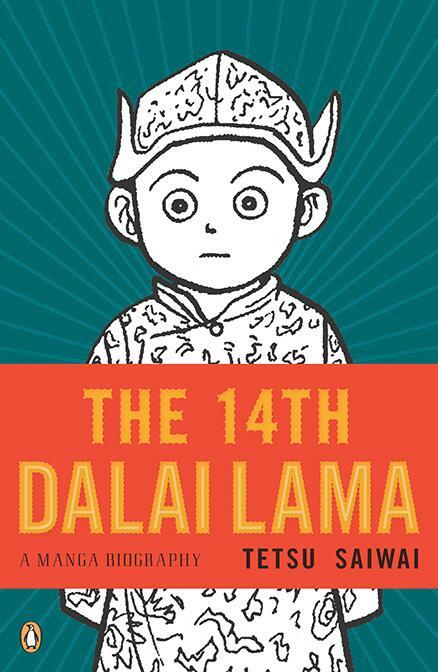 What was your favorite topic to research for this book? Why? For Cynthia, it was researching the spread that became “The Road to Suffrage.” She’s been interested for years in how women, step by difficult step, won the vote in the US and in other countries. But this was the first time she’d tried to chart the all obstacles raised, generation by generation, to so many Americans voting: enslaved Americans, Jewish Americans, Native Americans, Chinese Americans, homeless Americans, ex-convict Americans, Puerto Rican Americans, as well as women of all races. For Joni, it was the several maps on aspects of economic equity, justice, and injustice: poverty, corporate power, income distribution. One of the most paradoxical things about contemporary America is the widely-shared self-perception of Americans as caring, concerned, helping those less fortunate, stacked up against one of the most unequal distribution of wealth in the developed world. Many Americans seem unaware of the structural inequities that shape all aspects of modern life. How has your academic background informed your research and focus? Joni is a geographer; Cynthia is a political scientist. But both of us are international in our interests; both of us are feminist analysts who teach and write in the burgeoning field of Women’s Studies. That has been really a boon because Women’s Studies is explicitly cross-national in scope and interdisciplinary in approach – drawing on history, anthropology, public policy, economics, cultural studies. In practice, this meant that for years we each had thought about housing, wages, voting, arms sales, wars, consumerism, jobs, health and the environment. Moreover, as teachers, we each are acutely aware that one can’t help Americans make sense of what is going on here in the US unless one simultaneously reveals the US in a global context. Going into the presidential election of 2012, what can The Real State of America offer voters? This atlas provides, we hope, an incentive to speak up in shaping this society – perhaps in the form of voting, perhaps in the form of community activism. And, in deciding how to cast their ballots, we hope this atlas encourages voters to pay attention to whether candidates acknowledge – and directly address – the deep inequalities that still persist among Americans, inequalities deepened by the Great Recession. The myths of the “American Dream” diverge widely from the realities revealed here. It is realities, not myths, not wishful thinking, that provide a sound basis for any voter making smart choices in the voting booth. 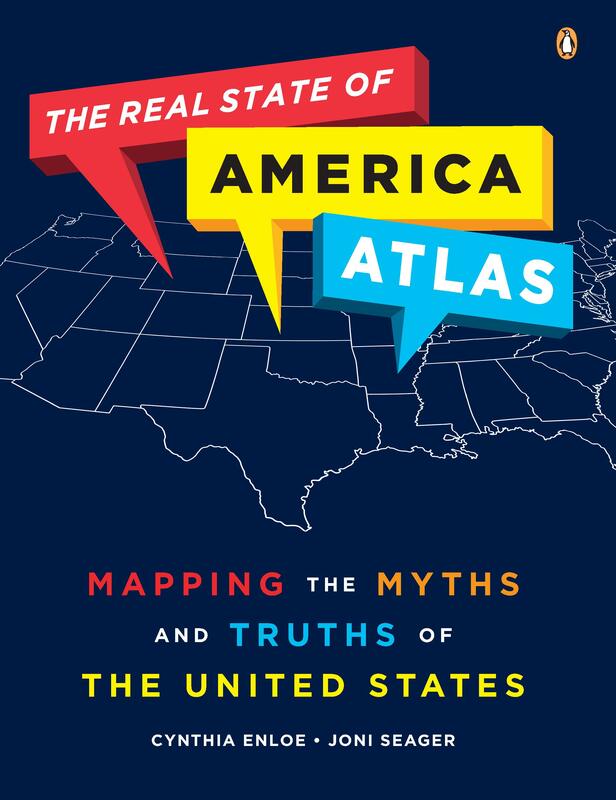 Through a combination of colorful graphics, innovative maps, and sharply crafted short essays, THE REAL STATE OF AMERICA ATLAS shows us how we live and how we compare to the rest of the world. These 40 engaging spreads reveal the often surprising realities of contemporary American life: religious affiliations, physical health, employment, distribution of wealth, corporate power, the prison system, education, and military service. These spreads offer an intriguing snapshot of our society as a whole—and prove that geography matters. Joni Seager, Professor and Chair of Global Studies at Bentley University in Boston, is a geographer and global policy expert. She has achieved international acclaim for her work in feminist environmental policy analysis, the international status of women, and global political economy. Cynthia Enloe is Research Professor at Clark University, Worcester, MA. She has lectured throughout the world on feminism, militarization, and globalization, written for Ms. Magazine and the Village Voice and appeared on National Public Radio and the BBC. 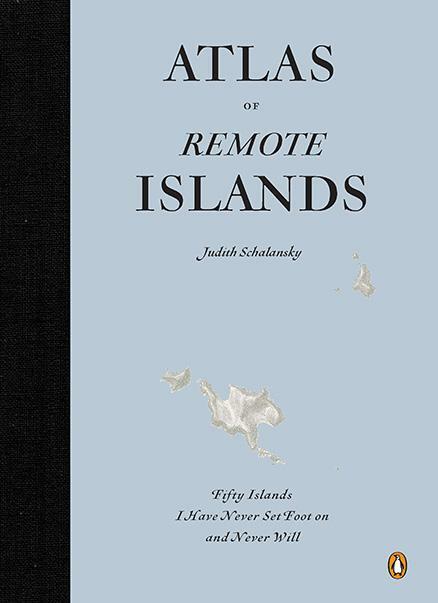 Using historic events and scientific reports as a springboard, ATLAS OF REMOTE ISLANDS creates a story around each island: fantastical, inscrutable stories, imagined realities for surviving on a few square meters of land. Rare animals and strange people abound: from marooned slaves to lonely scientists, lost explorers to confused lighthouse keepers, mutinous sailors to forgotten castaways, upstanding convicts to officials exiled in punishment; in short, a collection of Robinson Crusoes. Judith Schalansky was born in 1980 in Greifswald and studied History of Art and Design and Communication. She lives in Berlin where she is a writer and designer, and lectures on the fundamentals of typography in Potsdam. In 2006 her typographic compendium, Fraktur mon Amour, was published, and won several design prizes. Judith has been awarded a fellowship by the Villa Aurora in Los Angeles, starting at the end of 2009.